As the outgoing President of the E.I.G.S.C., I wish to thank the 2012 Board of Directors: Ralph Lawson (retired), Christine Lam (E.P.C.O) and Janice Clavet (Lerch Bates) for the hard work and dedication they provided throughout the year. For 2013, I am proud to introduce your new incoming E.I.G.S.C. 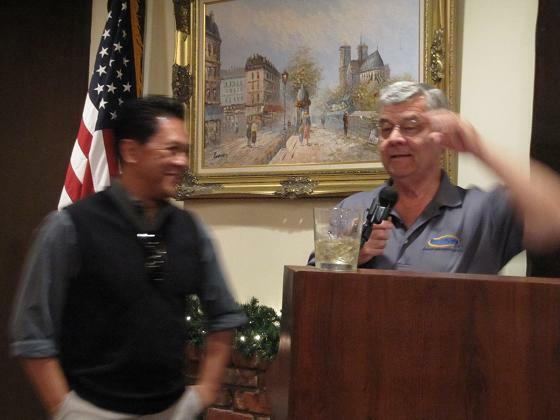 President, Rudimar (Rudi) de Ocampo of Smoke Guard California. Rudi de Ocampo is currently a Territory Manager for Smoke Guard California and has been at this position for 10 years. His territory coverage is Orange County, San Diego and Imperial County. As Territory Manager, Rudi has a constant pulse on the construction industry and is actively pursuing many project leads through his efforts in having close relationships with GC’s, Architects, Designers, Developers and City Building and Fire officials. Prior to his career with Smoke Guard, Rudi has been practicing architecture for over 15+ years. During his tenure at various design firms in Arizona and throughout LA and Orange County, he has held several senior and executive level positions such as Principal for Interni Design; Director of Interiors for Carrier Johnson and Senior Designer/Senior Project Manager for Ware Malcomb. Rudi has also taught design and theory studio courses at Brooks College and LA County School of the Arts in CSULA. He has served as a design jury member for Senior design critiques at Art Center, Woodbury University School of Architecture, Brooks College Interior Design and Arizona State University School of Architecture. Rudi brings to this group a range of experiences in design, construction, construction administration and management skills which in turn can lead the 2013 year into many new memberships through his extensive contact base of Architects, Interior Designers, Contractors, Developers and AHJ professionals. I look forward to an exciting year working with and for Rudi in our continuing efforts to Educate, Inform, Network, Professionalize as well as Socialize with Contractors, Suppliers and Professionals in the Southern California Elevator Industry. See you at Taix’s tomorrow! You are currently browsing the Elevator Industry Group Of Southern California blog archives for January, 2013.